Is there a way to have a file uploaded once, but used for multiple upload type fields? e.g. using an image preview widget, but want to use the standard upload field for the actual image selection as that's already set up with all integrations, and don't want the user to have to select same image twice. If my understanding is correct, what you wanted to do is to be able to post multiple images in your form and allow the form users to select (or download) the image. If I am correct, the process should be like this. 1. Upload all your images using the Upload field. So, must at least have initially your own Upload form where you can use it to upload all the images. 2. You can check all the uploaded images in your Upload form submission page. 3. On your live form (i.e. Missing Person form), you can now add the Image field. 5. The Image Link of Image field can be use as the URL to download the image. 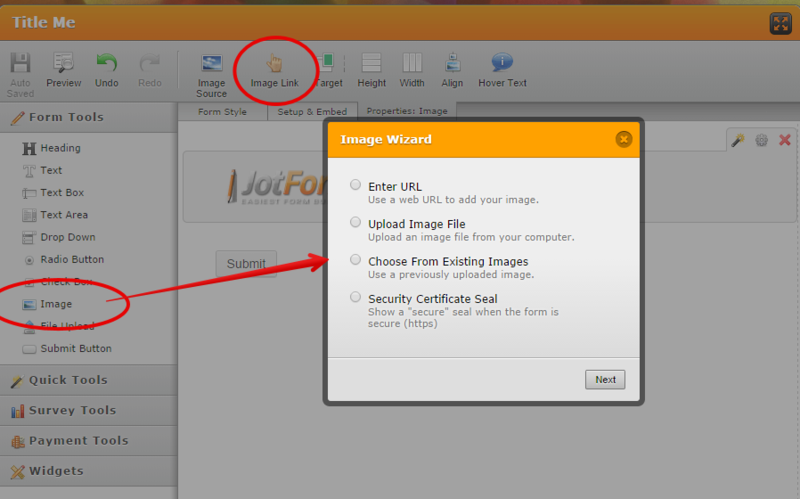 You should now be able to display multiple images in your JotForm that the users can select/download.